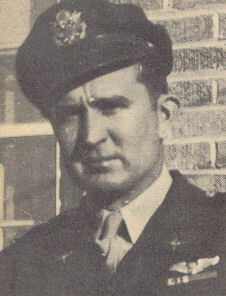 Lt. Chester T. Pennington, son of Mr. and Mrs. L. D. Pennington, attended Cons. No. 11 School and Cameron Jr. College; husband of te former Jessie Watson. Entered Air Corps in Frb., 1944, served in China, India and Burma. Awarded Asiatic Pacific Ribbon with three Battle Stars, Air Medal.